1 Bedroom Flat For Sale in Newcastle upon Tyne for Offers Over £120,000. Spacious one bedroom apartment located centrally in Newcastle City Centre with stunning City Views. 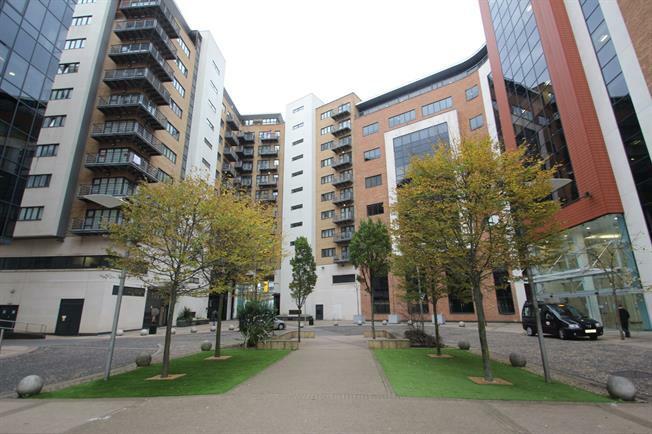 The property is situated close to all City Centre amenities including Newcastle Central Station, local transport links and the popular Centre of Life meaning this would be a perfect City living apartment located on the 9th floor boasting brilliant views from the balcony. In brief the property comprises of a welcoming hallway leading to an open plan lounge/kitchen area with French double doors leading out onto a balcony, a very good sized master bedroom and a family bathroom. The Bar development comes with secure communal areas with a lift and has underground parking with electric shutter's. Electric heater, laminate flooring, built-in storage cupboard, feature light and ceiling light. Double glazed uPVC window facing the front. Electric heater, carpeted flooring, fitted wardrobes, ceiling light. French double glazed door, opening onto a balcony. Double glazed uPVC window facing the front. Electric heater, carpeted flooring, ceiling light. Vinyl flooring, ceiling light. Wall and base units, stainless steel sink, integrated, electric oven, integrated, electric hob, over hob extractor, integrated dishwasher, integrated space for washer dryer, fridge/freezer. Electric heater, vinyl flooring, part tiled walls and tiled splashbacks, feature light. Standard WC, panelled bath with mixer tap, shower over bath, pedestal sink with mixer tap, extractor fan.